You may remember Unclutter, the app which “sweeps away desktop detritus.” Well, now it’s back, and it’s tidier than ever. Admit it: your Mac desktop is an embarrassment. It’s covered in folders, text snippets and pictures that you dragged out of the browser to you once and once only. 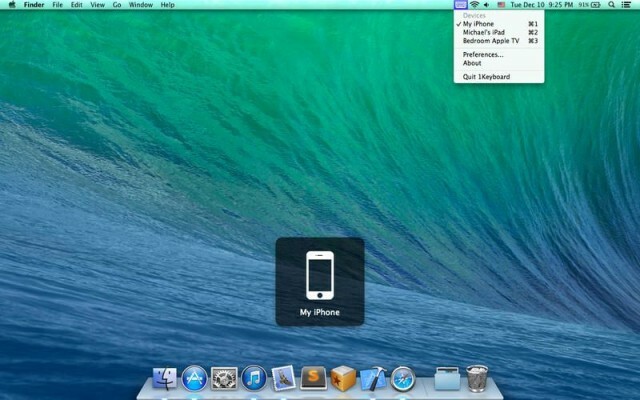 What you need is Unclutter, an app that pops a drawer out from under the menubar and lets you drag in files and folders. The actual files are moved to a folder (of your choice), but remain quickly accessible just by shoving the cursor up to the top of the screen and scrolling down on your trackpad. 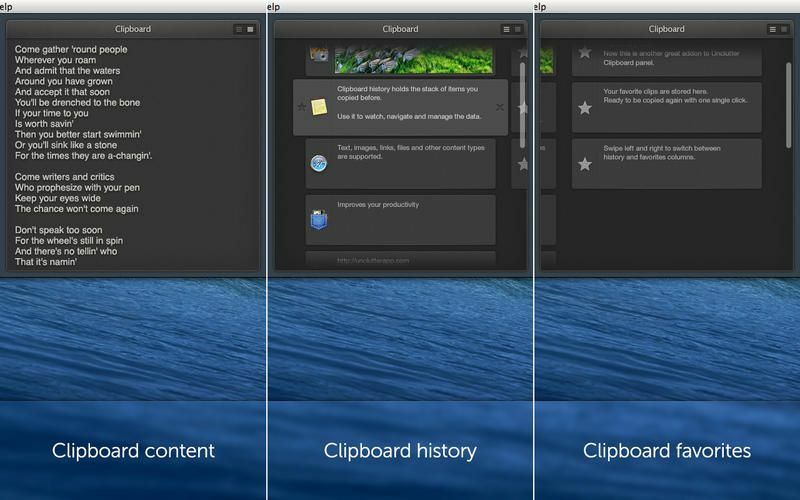 New in this version is a clipboard history, which remembers anything you have cut or copied, letting you access it later. You can also mark any snippet as a favorite, which puts it in a special spot for using over and over (you access favorites with a quick trackpad swipe). Finally, there’s the great notes feature from v1, which offers a spot to quickly jot things down. Unclutter saves these notes in a single TXT file, so you can access it from other apps. I have mine ion Dropbox so it’s available to me anywhere, on any device. Unclutter is just $5, which is way cheaper than hiring a cleaner to come tidy up for you every week.